India has been a tumultuous experience so far and, to be honest, I was perilously close to hopping on a plane to Thailand after my last blog post. However, following the advice and suggestions I received in response to that post, I decided to give India another chance. It became clear that the south of India was where I should head to, and I must thank everyone who convinced me to keep going. In particular, Sandeep (An Indian guy whom I met in Delhi Youth Hostel) deserves a special mention for his extremely useful tips on where to cycle in South India. You can check out his essays in the comments section of the “About” page. Despite this renewed desire to cycle in India, I was still in need of some relaxation before heading south. Similarly, although not having suffered the stresses of cycling, Nichola was also yearning for a cool and relaxing place to escape to. 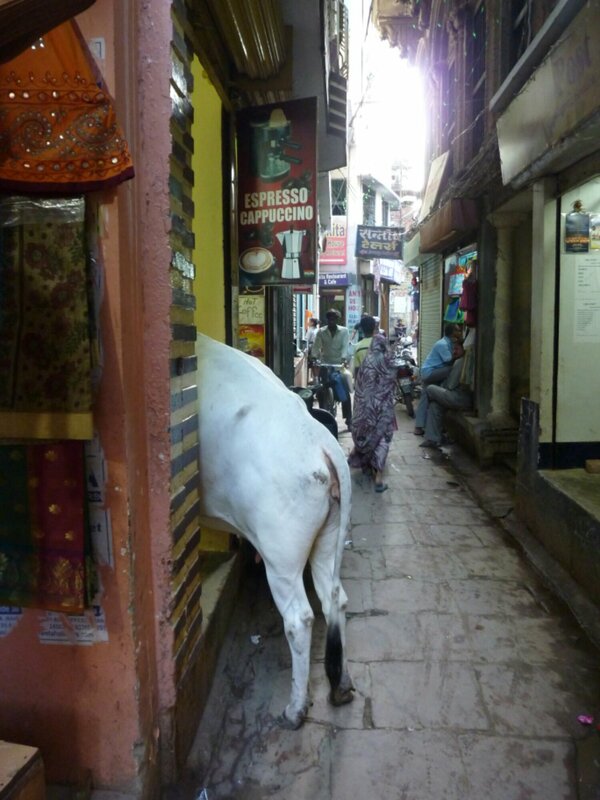 Life in India just requires an escape route. 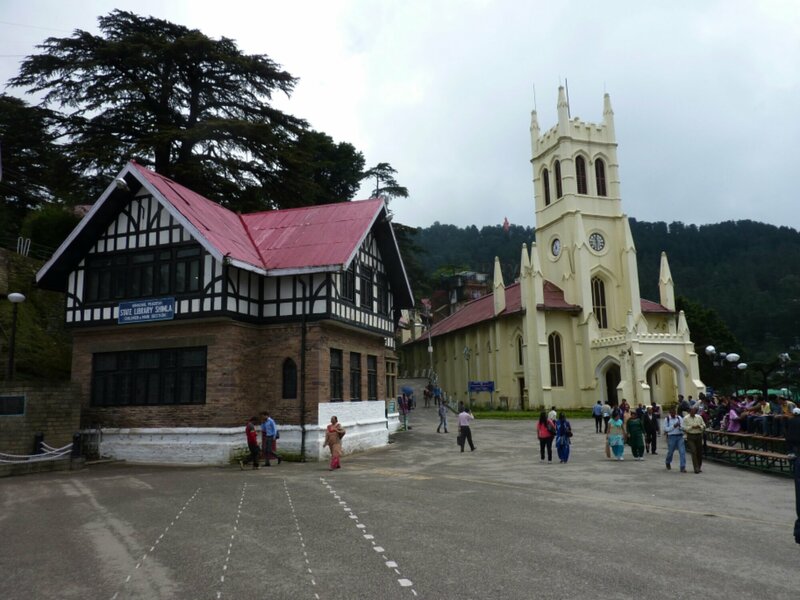 Therefore, like the colonial government a century before us, we headed to the hilltop retreat of Shimla, the capital of Himchal Pradesh. 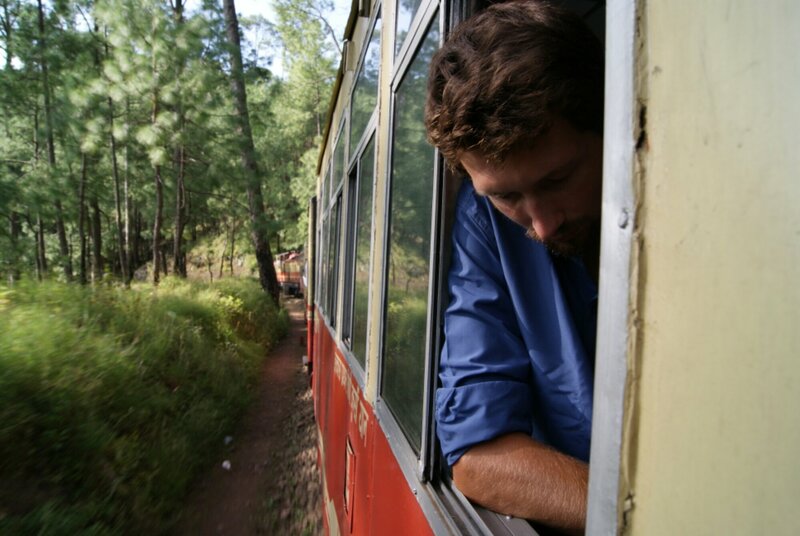 And, just like the colonial government, we chose to get there via the narrow-gauge railway. 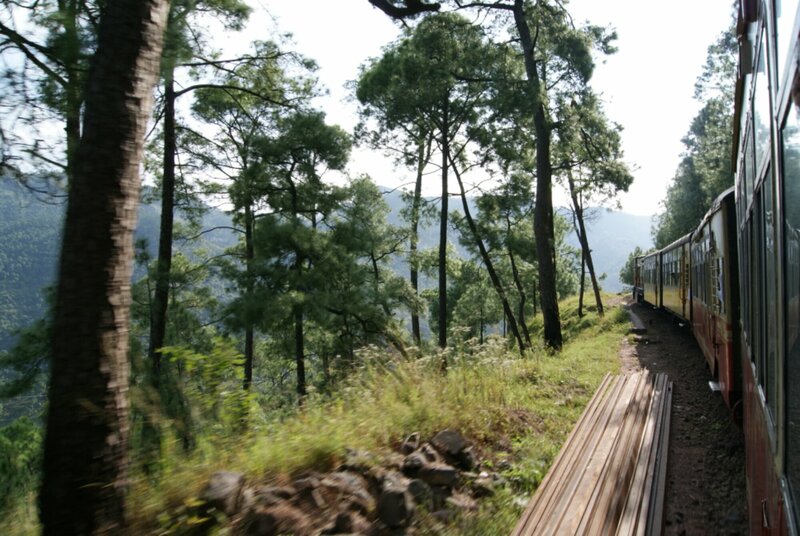 This railway is a UNESCO World Heritage sight and climbs almost 1500 metres over just 96 kilometres. It was an incredible journey, but would have been more incredible had it not been extended by four hours for some unknown reason. 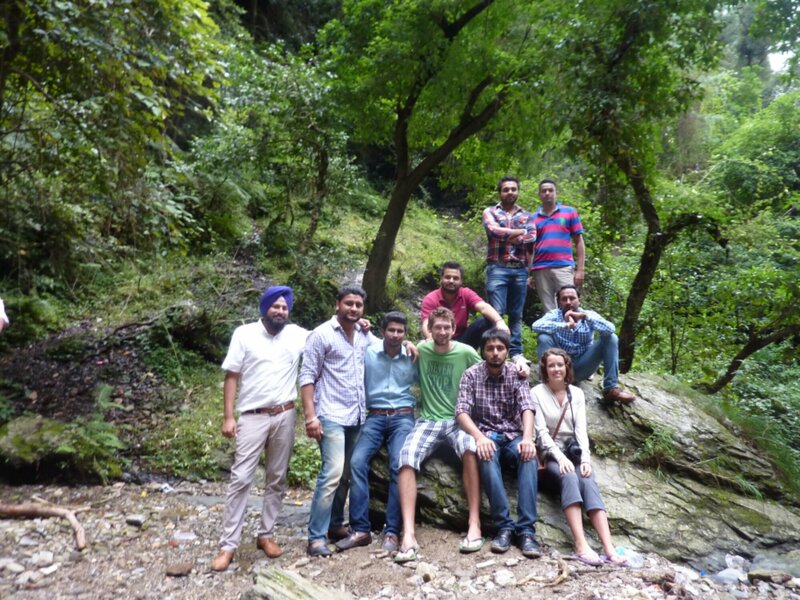 Shimla itself was everything that India, so far, has not been. It was clean, quiet, relatively uncrowded, free of traffic, cool, relaxed, and most importantly, friendly. The city retains much of its colonial identity and the oddly familiar colonial architecture was strangely comforting for someone who has only spent one month in the UK over the past two years. Furthermore, the cool temperatures meant that nonstop perspiring and a desperate desire to eat somewhere with AC were no longer issues. 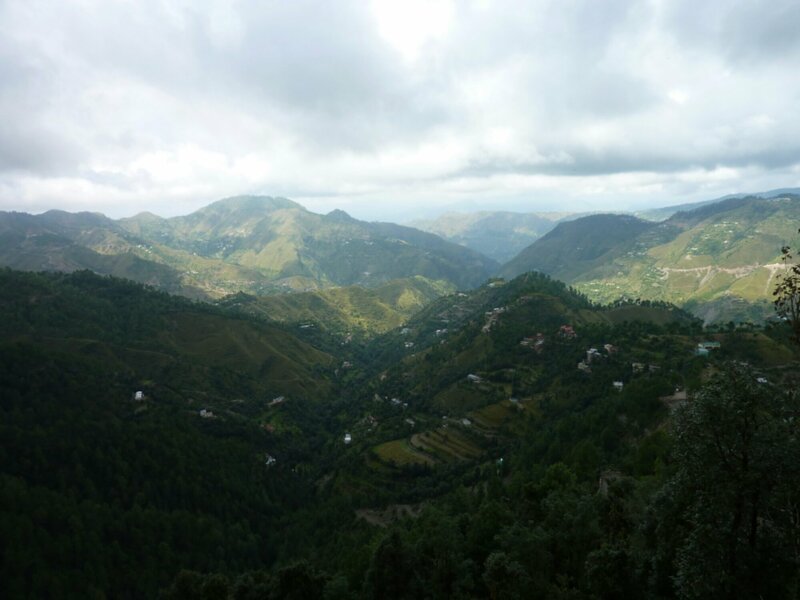 Obviously, Shimla is not without flaws, and it did rain a considerable amount whilst we were there. However, being from the UK, this didn’t bother me unduly. Furthermore, the rain gave us (mainly me) an excellent excuse to be incredibly lazy. This, combined with Shimla’s awesome Indian Coffee House and impressive range of cake shops, made relaxing easy. From Delhi, the three of us headed to Varanasi – the antithesis of Shimla, if ever there was one. 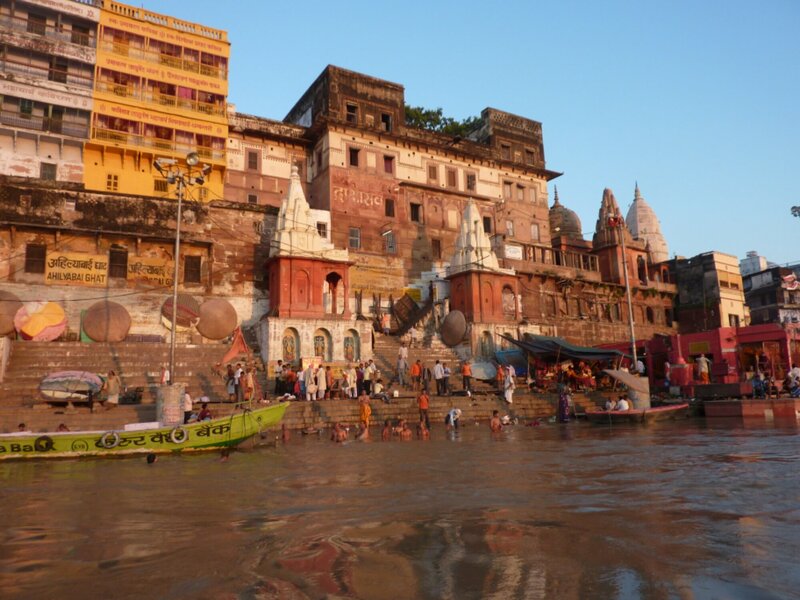 Varanasi is an incredibly sacred city on the banks of the Ganges and it is where every Hindu wants to be cremated. It is also smelly, noisy, dirty and exhausting. 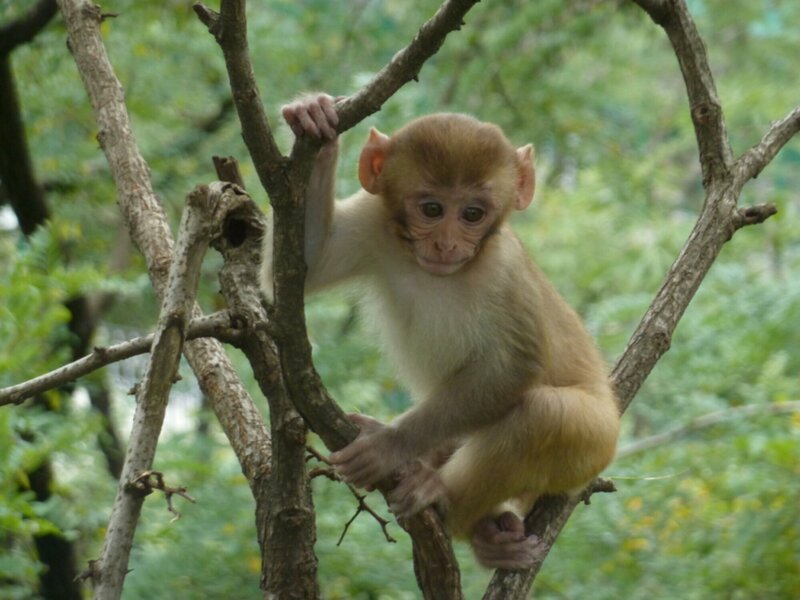 Despite these attributes, it is also offers one of the most unique experiences in India. Funeral pyres burn non-stop on the river banks, the devout immerse themselves in the holy water, and ashes (and bodies) are ceremonially deposited into the murky Ganges. Having now seen my first (and second, third etc.) 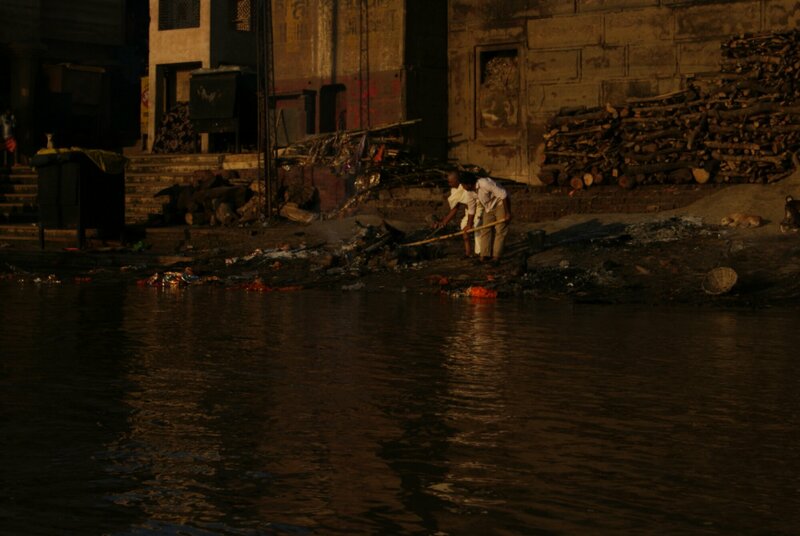 corpse, breathed in the smoke produced by burning human flesh, and watched men, women, and children bathing in water that contains decomposing human remains, I can say that Varanasi is unforgettable. I can say that it gives you an insight into how death becomes an everyday thing for the people of the city. I can say that I’m glad I experienced it. What I cannot say is that it is spiritual. I’m not sure anything could be spiritual to a self-confessed closed minded atheist like myself, but if you think that watching another human being repeatedly submerge themselves in water that contains 3000 times the safe amount of coliforms (e.g. E. Coli) is spiritual, then you are as deluded as they are. 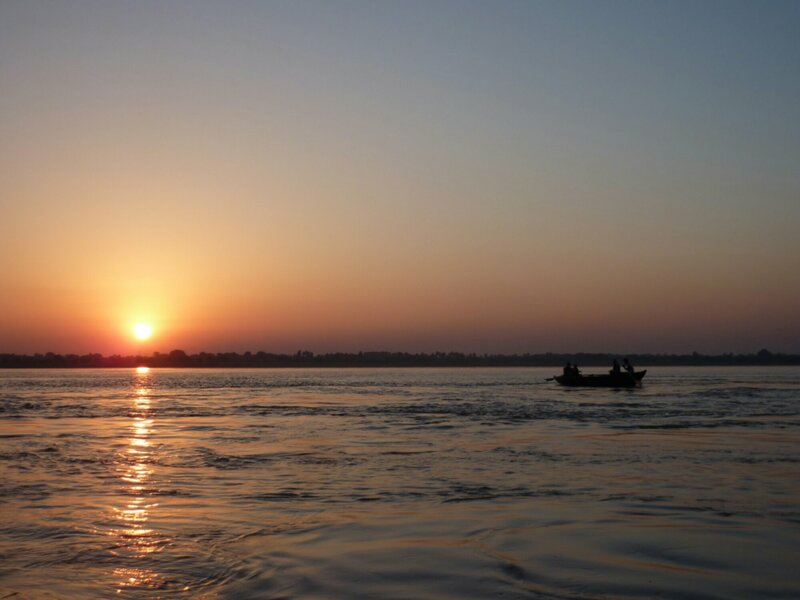 Many Hindus, unfortunately, believe that the Ganges is not just spiritually, but also physically, pure. Imagine, for a second, what would happen if someone in the UK jumped into an open sewer, began talking to themselves, and repeatedly sunk deep into the filth. They would be sectioned, not filmed by fascinated tourists. Despite this, I did of course watch in fascination as people did just that. Does that makes me a hypocrite? Perhaps. 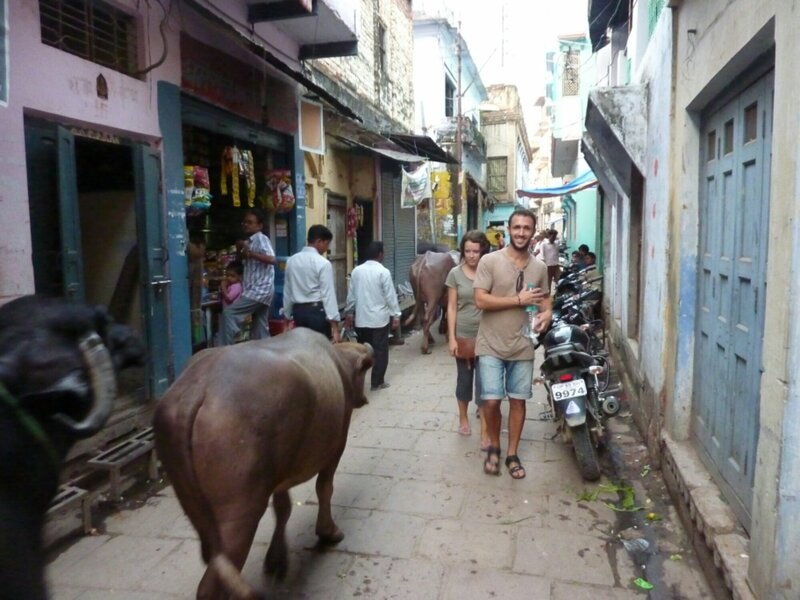 Either way, hypocrite or not, I experienced the insanity that is Varanasi and I’m glad I did. I’ve also finally said goodbye, with some sadness, to Nichola and Dani. Tomorrow, my long train journey to Mumbai begins and soon cycling will resume, one way or another. I forgot to mention that some of the photos were stolen from Nichola! In particular, if the photo of the cremations offends anyone, she took that one. Thus, I absolve myself of all blame. beautiful pictures. despite everything Rob, you look well! Hope things are still looking good for you.